SoundCloud, the leading online streaming and audio platform, heads to Winter Music Conference (WMC) 2019 this week with a very special showcase: SoundCloud Social. Taking place Thursday, March 28, from noon–3pm ET at Tree of Life at Faena Hotel Miami Beach in Miami Beach, FL, the event will feature a performance from Richy Ahmed, who will be delivering an exclusive disco set. The event is open to all WMC 2019 Industry and Access Badge holders; no RSVP required. Richy Ahmed is known as one of the leading figures in today’s UK house scene, having played a major part in the recent renaissance of British house music. His shape-shifting sound and eclectic sets weave through disco, techno, funk, electro, and hip-hop. An Ibiza mainstay, he’s held residencies at the leading clubbing institutions on the White Isle, including Paradise and DC-10, while also becoming one of seven all-night guests to take over the Space Terrace for international event brand elrow. A regular Resident Advisor Top 100 artist, Ahmed has released originals and remixes on reputable imprints like Hot Creations, Strictly Rhythm, Circus, Suara, Truesoul, Crosstown Rebels, FFRR, and Hotflush Recordings. He’s also the brains behind his newly launched Four Thirty Two imprint, which puts him at the forefront of independent dance music and A&R. A master DJ, Richy Ahmed will impress WMC attendees at SoundCloud Social with a rare, can’t-miss exclusive disco set and his inimitable selector skills. 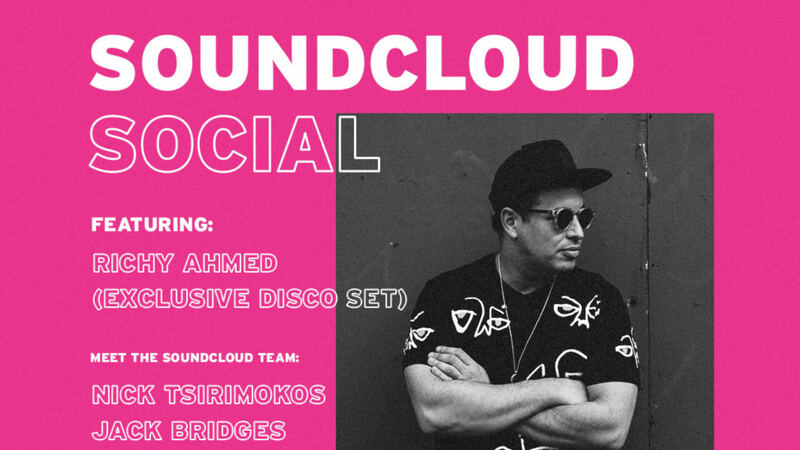 Head to SoundCloud Social for a much-needed music break and fine tunes care of Ahmed himself. 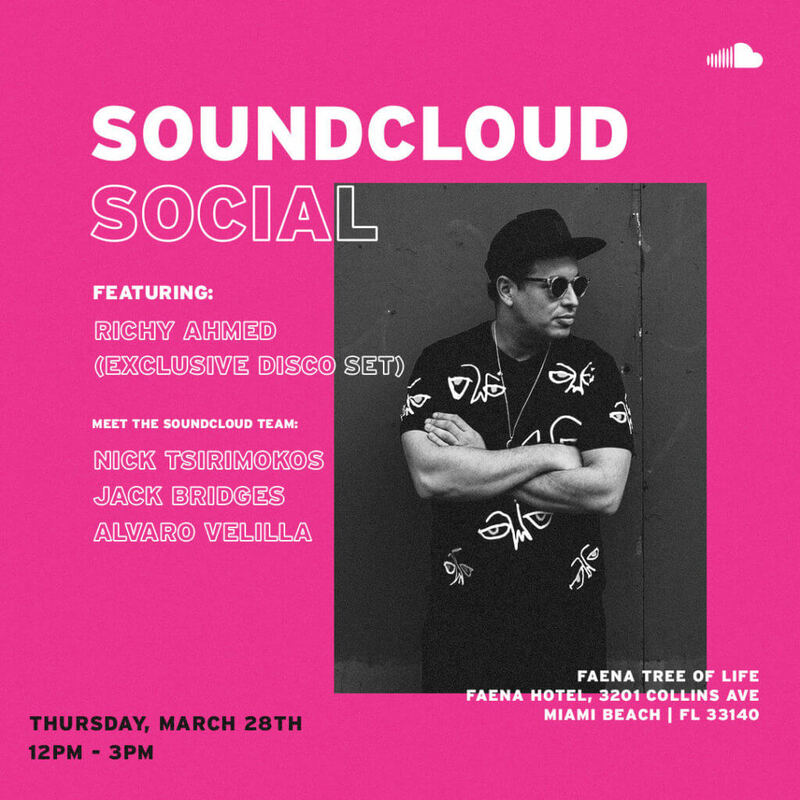 Catch Richy Ahmed at SoundCloud Social, presented by SoundCloud, at Winter Music Conference (WMC) 2019, taking place Thursday, March 28, from noon–3pm ET at Tree of Life at Faena Hotel Miami Beach in Miami Beach, FL. WMC 2019 Industry and Access badges and registration are now available.